While a majority of entrepreneurs may see Desktop as a Service (DaaS) as a technological fad, a pragmatic business owner will not reject the idea without considering its pros and cons. A careful analysis of this new concept gives us more reasons to adopt it rather than thinking otherwise. DaaS is a very convenient solution, especially for small businesses. In this write up, we will put this proposition to the test by discussing aspects like flexibility, cost-effectiveness and ease of administration. Before signing up for any new technology, it is best to understand the background and how it can exactly help your business. 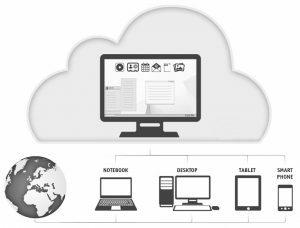 Essentially, Desktop as a Service is a cloud-based solution that enables users to access their desktops remotely anytime, anywhere and from any device. What makes this solution ideal for small businesses is the fact that it is very easy to manage. In addition to this, DaaS gives users a 24/7 access to desktops, which means that it is a great business continuity solution. As data is stored and accessed from a safe source, natural calamities like floods or fires cannot interrupt your business. Why it makes sense to adopt DaaS? By now, you must have developed a fair understanding of what DaaS can do for your business. But the question still remains – how does it suit your business? Before we delve a bit deeper into this, it will be worthwhile to know why businesses of all sizes are adopting DaaS as a solution. A majority of businesses are jumping onto the Desktop as a Service bandwagon due to its flexibility and scalability. As it is a cloud- based solution, you only pay for what you use. Ability to work from anywhere – Being a cloud-based solution, DaaS is available round the clock. This means that your staff can access their desktops anytime, anywhere. This flexibility gives you a lot of freedom in conducting your day-to-day business. If your employees have to go out of the office for a meeting, DaaS usage ensures that the productivity is not hampered. As the information and resources are readily available all the time, your staff can easily start right from where they left. Complete business continuity solution – With DaaS at your disposal, you can run your business with complete peace of mind. Whether it is a natural calamity like food or a power outage, all these problems cannot hinder your business. All you have to do is simply relocate your place of work and your data will be readily available to you. Unmatched data security – When you adopt DaaS, you automatically get the best possible security for your data. This is because in a cloud environment the data is stored in world class data centres and only a limited number of resources can access it. Cost-effective – In a cloud environment, you only pay for what you use. This is a very favorable payment method for small businesses that makes DaaS a very cost-effective solution. Desktop as a service is the ultimate choice for entrepreneurs who are looking for a flexible, safe and economical business solutions, talk to us now about setting up a DaaS system for your business, this time next year you’ll wonder how you ever did without it.